A happy new year and a prosperous hunting season to all. We hope you have enjoyed a wonderful Christmas with loved ones and feel rejuvenated for 2010. 2010 is a big year for all Africans, and especially for South Africans. South Africa has the privilege of hosting the biggest Sporting event on the planet, The FIFA Soccer World Cup. The World Cup runs from 11 June to 11 July 2010, as it may be a great add-on to your safari, be warned that traveling arrangements will have to be made as soon as possible. The world is literally coming to South Africa! John X Safaris has arrived in the USA for our annual marketing trip, we are currently in Dallas, Texas, setting up for the show. The Dallas Safari Club Show runs from tomorrow, 7 January till Sunday 10 January. We hope to see as many of you as possible at the show. If you are unable to make it to Dallas, here is a reminder of the rest of our schedule while in the USA. We head to Utah for a quick stop over in Eagle Mountain from 11 – 14 January and then on to Omaha, Nebraska. In Omaha we will be attending the SCI Omaha Chapter Show with Steve and Jill Evers from Wildlife Creations Taxidermy. The Omaha show runs from 15 – 16 January 2010. From Omaha, we head to Reno, Nevada, for the Safari Club International Show. SCI Reno runs from 20 – 23 January 2010 and John X Safaris will enjoy its traditional spot on White Tail Way, Booths # 313 & 412 in the main hall. We hope to see as many of you of as possible on our trip and look forward to meeting some of your colleagues and friends who may be interested in one of our classic hunts. If anybody would like to reach us directly while we are in the USA, please feel free to call Carl directly on 817 692 8247 or email him on carl@lalibela.co.za . 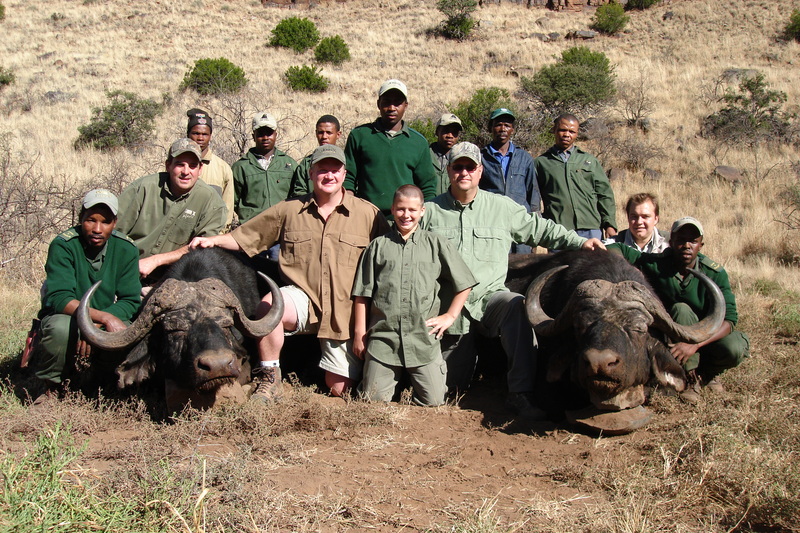 Come live the experience on a John X Safaris hunt! We look forward to hearing from you and setting up your next hunt with John X Safaris.